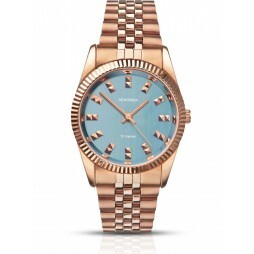 This sophisticated lady's watch consists of a gold toned case which surrounds the immaculate blue dial. 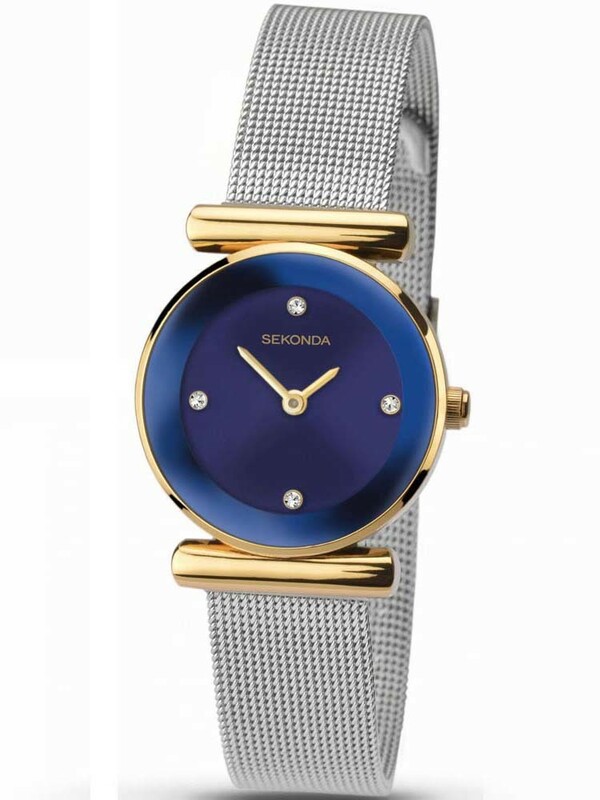 Slim hands work in conjunction along with four individually set stones that sparkle at the most prominent hour positions. Fastens securely using a stainless steel mesh bracelet design.